This listing expired on July 1, 2017. Please contact arqueologia@troiaresort.pt for any updated information. 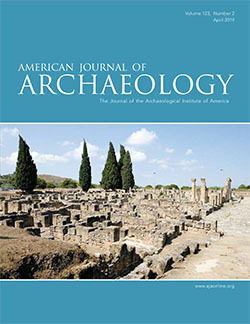 Archaeology, Arts and Heritage Sciences Study Center (CEAACP), TROIA RESORT and University of Arizona. 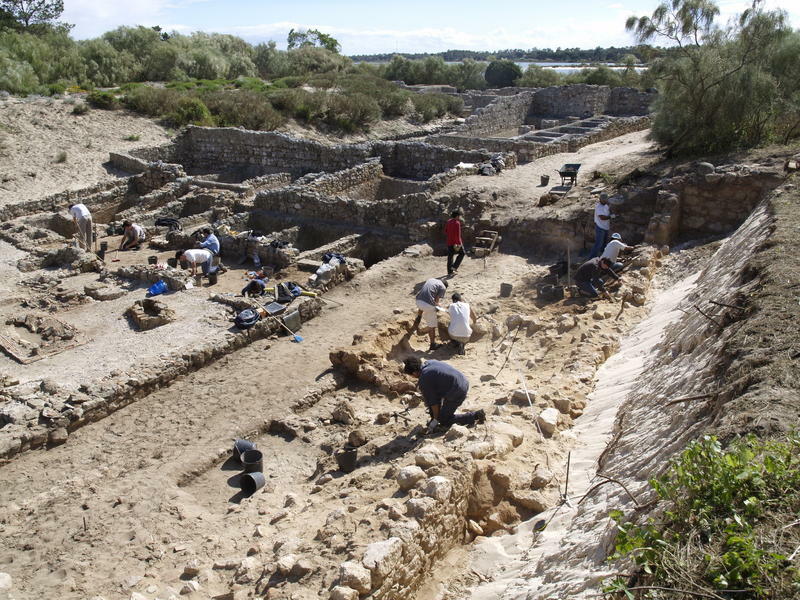 The CEAACP – Tróia Summer School is a new archaeological fieldschool program offering students the opportunity to participate in a scientific archaeological project in the largest fish-salting production center known in the Roman Empire, today known as the Roman Ruins of Tróia and a National Monument since 1910. Tróia is a beautiful sand peninsula dividing the Sado River from the Atlantic Ocean that is today a touristic resort due to its white sand beaches. In Roman times, a number of fish-salting factories were built next to the shore of Sado River producing large amounts of salted fish and fish sauces supplying areas of Lusitania and exporting to Rome and other provinces of the Roman Empire. It soon developed into an urban-industrial settlement with houses, baths, cemeteries and an early 5th c. Paleochristian basilica. Its most typical element is the large fish-salting vats around patios that sometimes keep the last production fish remains in the bottom. Abandoned in the 6th c., the site was covered by sand dunes that ensured a good preservation of its walls and structures. Excavation will take place in the morning. In the afternoon will take place the washing and inventorying of the excavation finds. Three times a week there will be workshops and lectures on different themes related to excavation methods and objects, Roman fish-salting production and the Roman occupation of Lusitania. One day a week will be dedicated to tours. Archaeological museums and sites will be preferential, but not exclusive destinations, since one the goals is that students get to know the region. A boat trip to watch the famous dolphin population of Sado River’s estuary will be on the program. Housing will be in the urban center at Tróia, at a 10 minute-drive from the site, in well equipped apartments. Students will share rooms divided by gender with bunk beds (no more than 4 students per room). Sheets and towels will be provided. Internet will be available. There will be a common living/dining room where breakfast and dinner will take place. All meals are included in the program fee, except for those on Sundays. Breakfast and dinner will be prepared or provided at home and lunch will be at the canteen of the touristic resort, except during fieldtrips where meals will be lunch bags or at restaurants. A mid work snack will be provided at the site. In the beginning there will be a special welcome lunch and a farewell dinner at the end. ÉTIENNE, R., MAKAROUN, Y. et MAYET, F. (1994) – Un grand complexe industriel à Tróia (Portugal). Paris: Éd. de Boccard. PINTO, I. V.; MAGALHÃES, A. P.; BRUM, P. (2010) - Ceramic assemblages from a fish-salting factory in Tróia (Portugal). In Rei Cretariae Romanae Fautorum Acta 41. Bonn, p. 529-537. PINTO, I. V.; MAGALHÃES, A. P.; BRUM, P. (2012) – Un dépotoir du Ve siècle dans l’officine de salaisons 1 de Tróia, Portugal. Rei Cretariae Romanae Fautores Acta 42. Bonn, p. 397-406.